Simplay Approved 1080p Certified HDMI Cable!!! Our Next Generation Simplay Approved Premium, gold plated HDMI (High-Definition Multimedia Interface) cables fully comply with all HDMI standards. 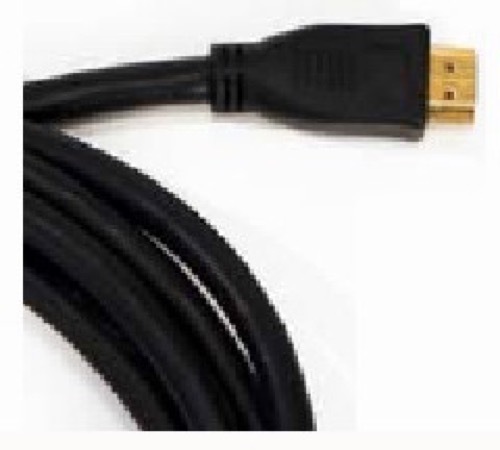 HDMI cables support both audio and video data transmission from DVD players, HDTV devices, audiovisual sources, projectors and other video displays. The new HDMI technology is expected to be the predominant audio/video connection technology of the future which can support data transfer rates up to 5 Gbps and has 55% capacity for future expansion. The Next Generation Premium 1 Meter (3.3' ft) HDMI to HDMI Cable is one of the newest products just introduced by Next Generation Home Products. The Premium Cables are perfect for high-end home theater applications. Each cable is specially crafted with Gold Connectors increased available signal transfer and reduced outside interference. Passes Broadcast high resolution digital video, digital audio, and intercomponent control signals all in one compact connection! Double Shielded, 85% copper braided and 100% Mylar (R) Aluminum foil provides complete immunity to environmental EMI and RFI. 24-karat Gold plated connectors ensure superior signal transfer and a lifetime of maximum performance. Nitrogen Injected Dielectric and quality construction make this interconnect the only choice for all home installations.